With its good looks and great read speeds, the FastKey is sure to turn heads. Unfortunately, its less than optimal physical design coupled with less than optimal write speed may leave you wanting more from such a costly device. With its brushed gun metal gray metal exterior with black plastic accents, there is no denying the LaCie FastKey flash drive is pretty. In fact, it is pretty striking for a flash drive. 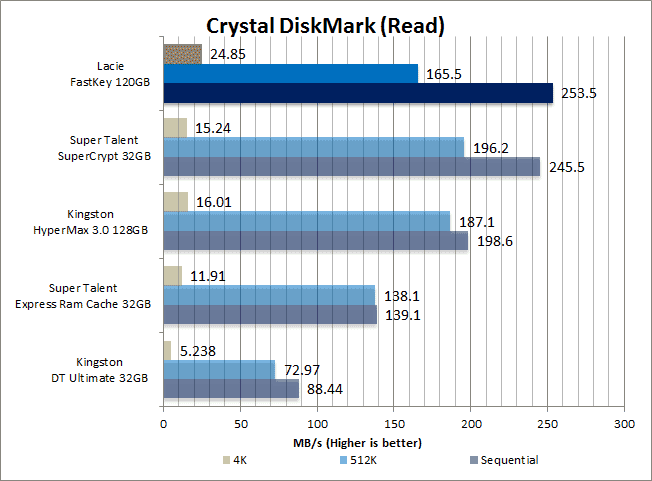 This was not all that surprising as LaCie does make some pretty looking kit. 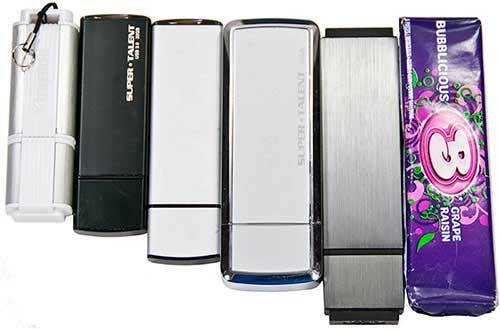 I would even go as far as saying the FastKey is a classic example of LaCie’s grace and style. What was surprising is how light this 120GB flash drive is. I truly was expecting something with similar weight to that of the Super Talent SuperCrypt for example. But with an official weight of only 33g (1.16 oz. ), the LaCie FastKey is light. Unfortunately, while it is very pretty looking, the long and extremely square nature of the LaCie FastKey does mean that it is a tad difficult to carry. To be precise, its form factor makes it somewhat uncomfortable to carry in a pocket as the pointy corners dig in at every possible opportunity. This coupled with its fairly wide profile means it may just block adjacent ports. Luckily, while it is thicker than some flash drives I have looked at, it is not that thick and should not block USB ports above or below it. Sadly, in most USB 3.0 systems, the ports sit side by side and are not stacked on top of each other. This means for many users, using the FastKey means you will have to temporarily “give up” your second USB 3.0 port. This is not a good thing and I wish LaCie had included an 18″ extension port cable adaptor which would allow you to plug in the FastKey without blocking additional ports. The other issue I have with the FastKey is the fact that while it is a brushed metal case, it is a slick metal case. This is not a big deal when plugging it in, but it can be a royal nuisance trying to remove the drive. This issue is also prevalent with the removable cap which comes with the LaCie FastKey. Once again, it is easy to stick the cap back on to the LaCie FastKey, but getting it off can be annoying. This probably is one of the few times I actually would not mind “misplacing” a removable USB flash drive’s cap as I wouldn’t have to wrestle with drive. LaCie really should have spent a touch more effort in the design department and added in some additional surface grip texture. On the positive side, where LaCie includes not only a small lanyard mounting hole at the rear of the FastKey, but also a lanyard loop so you need not worry about it slipping out of your hands during transport. Overall, while it does have some warts (so to speak), the FastKey is a pretty nice looking device. On the software side of things, the FastKey comes preloaded with a very nice software package. During first launch, a lightweight program allows you to customize exactly how you want your LaCie FastKey partitioned and configured. If you want to use it on PC or Mac or a combination of both, this program will have you covered. 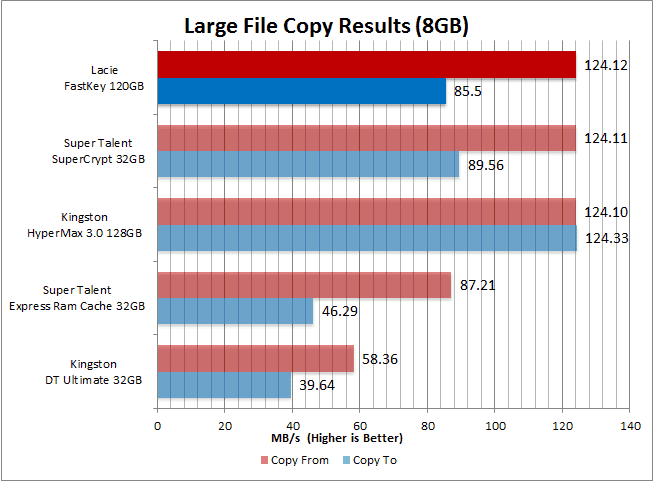 Where the LaCie FastKey is not really designed for system backups, the lack of any backup software is not a big deal. 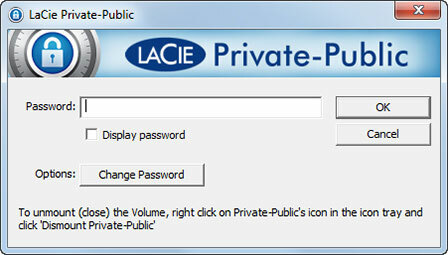 Instead of including a copy of LaCie’s backup Genie program, they have instead opted for an encryption program. By running this program, you can setup a secondary encrypted partition or even run the entire LaCie FastKey as an encrypted device. Without the password your data will be safe and sound. This certainly should alleviate any fears you may have of the FastKey slipping out of your hand and disappearing while you are transporting from point A to point B. While this setup is a little “clunky” it does get the job done, but I do wish LaCie had included a copy of their backup software as that plus the encryption options offered by the LaCie FastKey would have been a killer combination. Well, this seals the deal as far as I am concerned. When all tests – both real world and synthetic – point to a mature weakness in a device, you can take it to the bank that said weakness is not an anomaly. 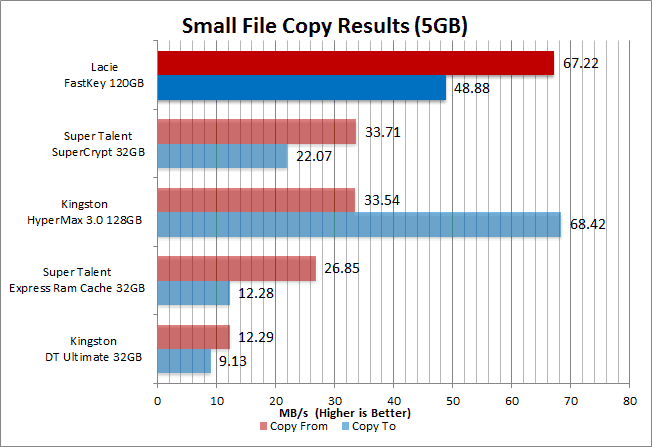 To be blunt, the FastKey may have read speeds which act more like an external SSD, but its little league write performance keeps it from competing in that weight class. Crying shame is all I have to say. The LaCie Fastkey has read performance to burn yet only has middling write performance. The LaCie FastKey certainly does have an interesting blend of good looks and good performance. As the testing results clearly show, it has read performance to burn. This coupled with the large 120GB of space should make near any consumer happy. With that being said, the FastKey does have a few drawbacks worth pointing out. The biggest of these is that while the read performance is insanely good, it has only mediocre – at best – write performance. This is not to say that 80+MB/s write speeds are bad or anything, but this is a device which costs nearly five hundred dollars. Also on the downside, while the sleek and stylish design of its metal chassis is simply gorgeous to look at, it is a less than optimal design for a portable device. Let’s face it, this is not a conversation piece meant to be left lying around so others can see it; it is meant to be used. However, the same metal chassis the FastKey boasts is slippery to hold and even something as simple as removing the end cap is a royal nuisance. Worse still, the sharp metal corners this device boasts also have a tendency to stick into you at the most inopportune times. So even though some friction tape can fix a slippery surface, not much can be done about the hassle associated with transporting the drive. 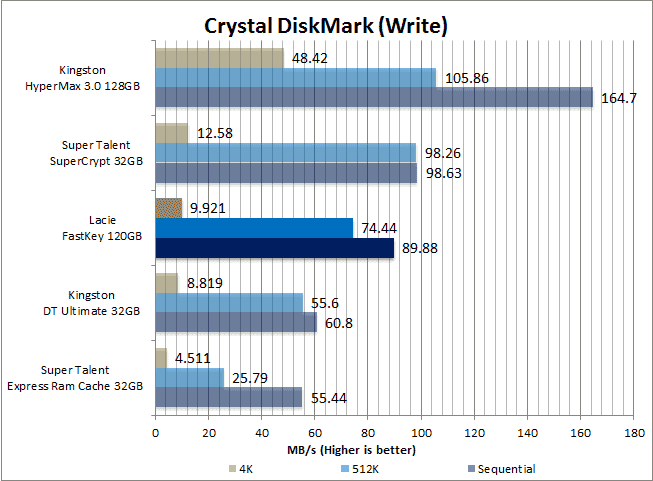 If you can learn to tolerate its flaws, the LaCie FastKey will reward you with premium performance; but considering its price tag, I think any device in this price range should not be best describe as “tolerable”. You may feel differently, but with numerous other options out there, I personally don’t think you should settle for second best, good looks or not.